Pep Guardiola has reacted to Manchester City’s first defeat of the season after 29 matches in a run stretching back 227 days. The defeat also brought an end to a 20-game club-record winning streak. 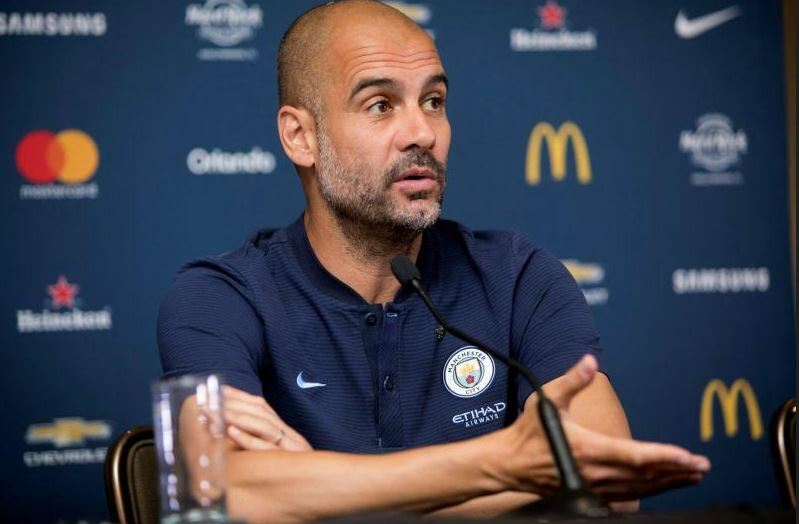 Guardiola’s men fell behind to first-half goals from Bernard and Ismaily before substitute Sergio Aguero pulled a goal back from the penalty spot in injury time. The former Bayern Munich boss told BT Sport, “Congratulations to Shakhtar, it was a good game. “Their first goal was magnificent, and the second goal we didn’t defend that well. “We fought and I’m so pleased for Tosin, Phil and Brahim and how well they played against a good team like Shahktar Donetsk. City could face holders, Real Madrid in the last 16 along with Bayern Munich, Juventus, Sevilla, Porto or Basel. The Catalan added, “In the Champions League on Monday we are going to talk about the draw.